﻿ HuntingNut » Forums » Firearms, Shooting & Reloading » Gun & Firearm Discussions » STEYR 1912-61? Posted: Sun Jun 17, 2012 1:12 pm Post subject: STEYR 1912-61? Seems like this must be mauser season, I started a fullstock a few days ago. Posted: Sun Jun 17, 2012 3:47 pm Post subject: Re: STEYR 1912-61? fnuser, you will have to keep us posted as you progress. Have fun! Posted: Sun Jun 17, 2012 3:59 pm Post subject: Re: STEYR 1912-61? like it so far and I too look forward to the progress reports. what cartridge is she chambered for? Posted: Mon Jun 18, 2012 5:12 pm Post subject: Re: STEYR 1912-61? the barrel on it is 7.62x51 NATO. I haven't check the headspace with a .308 Win no-go yet, if it fails( alot of 7.62's do) I will just form brass from something a little longer like a mauser cart or good old "06. These were rebarrelled at the arsenal from 7x57. this one has tight lands because the standard pilot on the crowning tool was too big. Must be less than .299". Posted: Tue Jun 19, 2012 1:43 am Post subject: Re: STEYR 1912-61? sounds like you have it sorted. look forward to seeing it finished. Posted: Fri Jun 22, 2012 9:32 am Post subject: Re: STEYR 1912-61? Posted: Fri Jun 22, 2012 9:35 am Post subject: Re: STEYR 1912-61? Posted: Fri Jun 22, 2012 5:15 pm Post subject: Re: STEYR 1912-61? Posted: Fri Jun 22, 2012 5:20 pm Post subject: Re: STEYR 1912-61? Yeah, I used a military nose w\ bayonet lug cut the lug off one end and cut down the sides to eliminate the hole for the pin that holds it on got a little creative with the bottom and added a widows peak to match the buttplate. Then used a little pillar file to reshape the top edges. you might have to arrow over to the right to see it all. Posted: Fri Jun 22, 2012 5:38 pm Post subject: Re: STEYR 1912-61? Ok got it. Looks good Fn! Posted: Wed Jun 27, 2012 3:40 pm Post subject: Re: STEYR 1912-61? I got a chance to use a .308 Winchester no-go today, it does close on a no go. I half expected this to be the case. Most of the 7.62 Nato chambers I have seen are like this. Looks like I will be cranking out some "custom" brass. I have a .308 Winchester form die so this won't be much of an issue. Just start long and keep setting back till the bolt closes. This will take care of the headspace issue. Now there is just the question of MAX case length. Probably trim them all to MAX 2.015" on account of the cases shortening a little on first firing as the shoulder fills out. It is kinda hard to measure the neck length even off a casting. Anybody got any ideas? Posted: Wed Jun 27, 2012 4:53 pm Post subject: Re: STEYR 1912-61? Posted: Wed Jun 27, 2012 7:20 pm Post subject: Re: STEYR 1912-61? You could always have the barrel set back and rechambered for any spec you want. On the other hand the larger case has room for more powder and that means higher velocities. You could have it either way - but not both! Posted: Thu Jun 28, 2012 1:15 am Post subject: Re: STEYR 1912-61? now me being a cheapster would fire a few factory rounds and have a measure up afterwards and see just how much they have truely grown. I saw a no go guage made to fit in my .270 and wasnt very impressed with the force used to do it. It would go with the fireing pin removed but was a struggle with it back in??. if its not broke dont try to fix it... maybe?? if you use the same brass you will be "fire forming" your brass will you not?? so the chamber length is not really an issue is it??? Posted: Thu Jun 28, 2012 3:29 pm Post subject: Re: STEYR 1912-61? Not really, But two things come to mind; one is Knowing when to trim, the other is I like to avoid having a big gap between the case mouth and the end of the chamber. This usually contributes to (or takes away from) accuracy. But like you say I'll probably just find out the hard way. 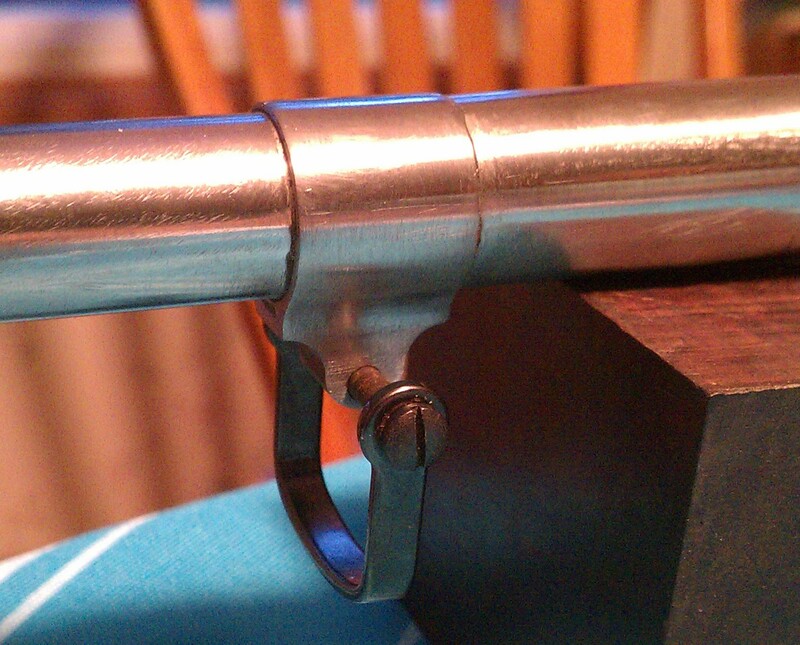 I did think about making a case that was short and then turning a piston that was the new (fired) O.D. .340" and the new (fired) I.D. 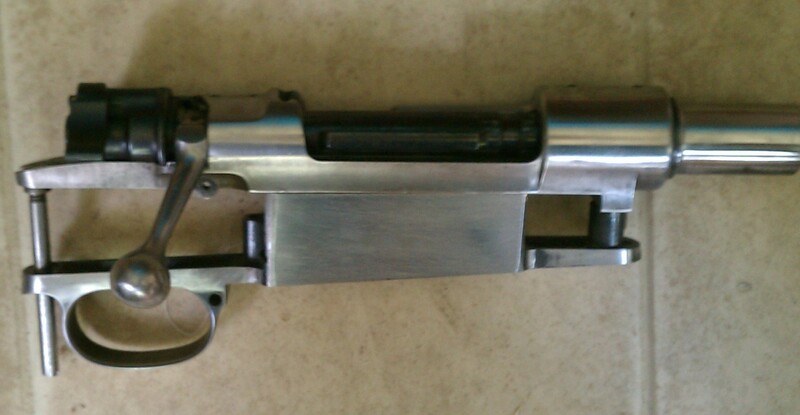 .310" putting the whole affair in the chamber and closing the bolt?